The theme of next week’s World Health Day observance is “Depression – Let’s Talk.” It’s easier said than done, considering how many suffer from a depressive state and keep it to themselves because of the fear of being labelled “crazy” or shunned by a population that prides itself on always being on top of things no matter the circumstances. 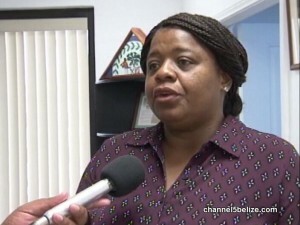 But the Ministry of Health’s Nurse Eleanor Bennett says that while there are outpatient clinics and active service in the community, you do not need to go to hospital exclusively if you want to talk about what’s bothering you. There are other trusted outlets available to break the cycle of silence. A public forum on depression is scheduled for April seventh at the Ramada Princess Hotel. Is Brain Tumour to Blame for “Mr. Middleton’s” Forgetfulness?